Countdown, 10 days left until Stockholm CA! It's only 10 days left until it's time for Stockholm CA. I'm super excited and counting the days! 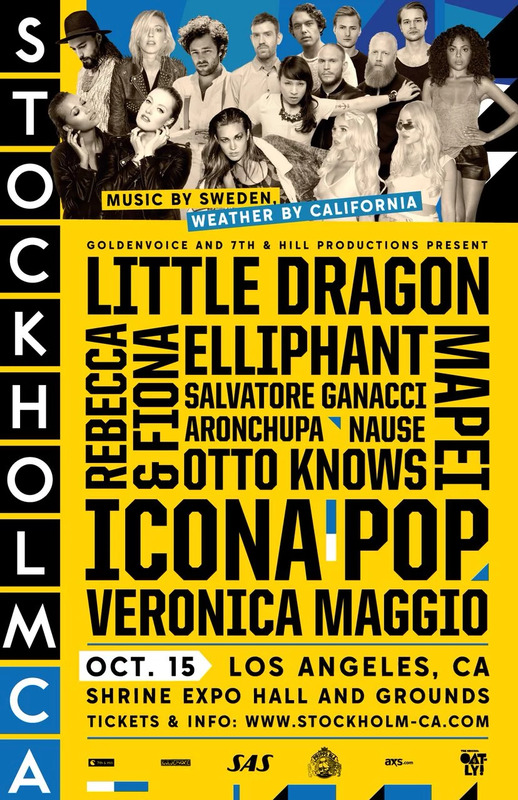 It's so cool that all these Swedish artists will come to LA and do this show. Some of them haven't had a show in LA before so it will be their premier as well! So cool. I really hope to see all of my friends there and meet new people as well. October 15th will be an awesome day. If you're not really sure what this festival is about you can read more on their website: http://www.stockholm-ca.com/ but I don't think it's necessary if you look at the poster and all the amazing artists! If you haven't bought your ticket yet, there is still some left and I suggest you grab yours now because I think they will be gone pretty soon! I'm so psyched! To get it going, check out their playlist on Spotify HERE below!